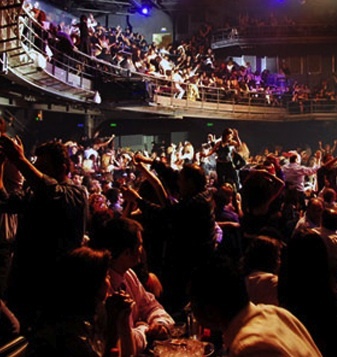 Athens Greece is world known for its wild nightlife. Especially during the summer months, people are out drinking and having an excellent time until the very small hours. There are numerous choices of taverns, restaurants, bars, clubs, bar restaurants and concert halls, which usually stay open until very late. There are a lot of choices for every taste! This seems to be the rule of the Athenian nightlife. Rock music, R&B, jazz, modern Greek, traditional Greek, ethnic and pop. Visitors will find bars, taverns, clubs and bar restaurants in the center of Athens Greece (like in Gkazi, Psiri, Thisio, Kolonaki, Plaka etc. ), but also in Piraeus, Glyfada and Kifisia, which are easily accessible by all means of transportation, as well as by cab. 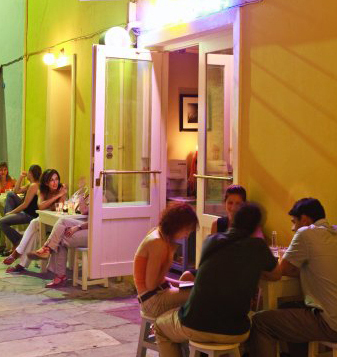 In Thisio, Plaka and Monastiraki –the historical center of Athens Greece- there are many taverns with traditional cuisine and music, as well as many bar-restaurants, coffee places and small pubs. The nightlife is more relaxed there and can be ideally combined with endless walks in the pedestrian unified archeological sites, which are scattered all over these neighborhoods. Enjoy the fabulous view of the Acropolis, under the stars, with a glass of local red wine and experience the other face of Athens Greece.